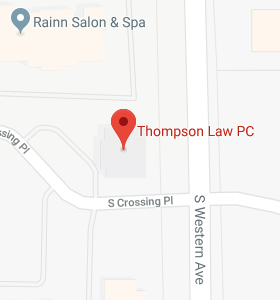 Connect - Thompson Law, P.C. Thompson Law, P.C. will host a movie night at the West Mall 7 Theatres the evening before our client celebration. We will be showing The Ultimate Gift at 7 PM. The movie is based on the best-selling book by Jim Stovall. Seating for this event is limited; please register by emailing Sandra or by calling (605) 362-9100. 9:30 AM……… Reflect: Are You a Family in Name Only? The discussion will feature components of a successful estate plan, including plan creation and accountability reviews. This session is an excellent refresher course for families familiar with the Thompson Law approach, as well as their invited guests. One of our primary goals with estate planning is a positive outcome that helps keep families connected. This session walks through an overview of the trust administration process. This is a personal story of walking through the end of life process and organ donation. This session will also include guidance for passing on your memories, wisdom, and heartfelt messages. This session will introduce a new program offered by Thompson Law, P.C. designed to help capture a legacy for generations to come. Please RSVP by March 30, 2015 by emailing Sandra or by calling Thompson Law, P.C. at (605) 362-9100. Guests who RSVP to attend by March 23rd will be entered to a win a customized painting by award-winning artist John C. Green (Must be present to win).